The Halifax Reader - Halifax Public Libraries: Literary Exclamation Points: or Books! Books! Books! The exclamation point: intended to give emphasis to a statement, it doesn't get a lot of play in the world of novels. Other than in dialogue, the exclamation point generally doesn't seem to fit in a novel: it's too silly, not mature enough. Remember that episode of Seinfeld where Elaine's boyfriend wouldn't use exclamation points? It was Season 5's "The Sniffing Accountant" and as episodes of Seinfeld were able to do, it perfectly describes the situations where something was desirable (in notes and phone messages) and not (excessively in novels). This post started percolating in my mind with a single book title: Swamplandia! by Karen Russell, which was released to much buzz this past spring. I was definitely intrigued by the descriptions of a book set in a family run theme park in the Florida Keys where the main attractions were alligators, but I have to admit that the inclusion of the exclamation point in the title made me want to read it a bit more. This book isn't just "Swamplandia", it's "Swamplandia!" and somehow that extra punctuation made all the difference to me. The book, by the way, totally lives up to the hype: it's a wonderfully crafted, imaginative story of loss and family ties (with a sizable serving of adventure) with one of my favourite protagonists in a long time: 13 year old Ava Bigtree. So, Swamplandia! You hooked me with your exclamation point, but you also made me wonder who else has tried this crafty trick of titling—and I found you weren't alone. We Sure Can! : how jams and pickles are reviving the lure and lore of local food by Sarah B. Hood. 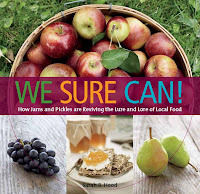 Exclamation points aren't just for fiction, this book "celebrates the ongoing "Canvolution," in which urban "preservationists," local-food aficionados, rural picklers and jammers, and food bloggers are rediscovering the lost art of home canning jams, pickles, and other preserves." And if I'm not mistaken, there's a pun in that title as well as an exclamation point: extra points! Westward Ho! by Charles Kingsley. It's not just modern types who can pepper their titles with exclamation points, as this 1855 novel can attest to. Beginning in England, this high seas adventure set in the Elizabethan era includes romance, kidnap and the Spanish Inquisition. Author Robin Jones Gunn may get the prize for exclamation point usage though, in her ongoing faith based, globetrotting, chick lit Sisterchicks series, including Sisterchicks say ooh la la!, Sisterchicks do the hula! and Sisterchicks down under! And if Horror is more your game, you can try Zombies! Zombies! Zombies! 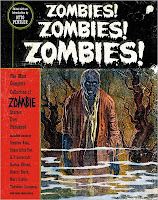 edited by Otto Penzler, released just this past September, Booklist called it an "exhaustive compendium of zombie literature". If you know of more bookish exclamation points, feel free to add them in the comments. Or, I guess I should say, in the comments!